This summer, we are highlighting the shortlisted candidates of the 2018 ECF Princess Margriet Award for Culture – all of whom fit our theme Courageous Citizens in their own right. Meet Serbia’s Association KROKODIL. 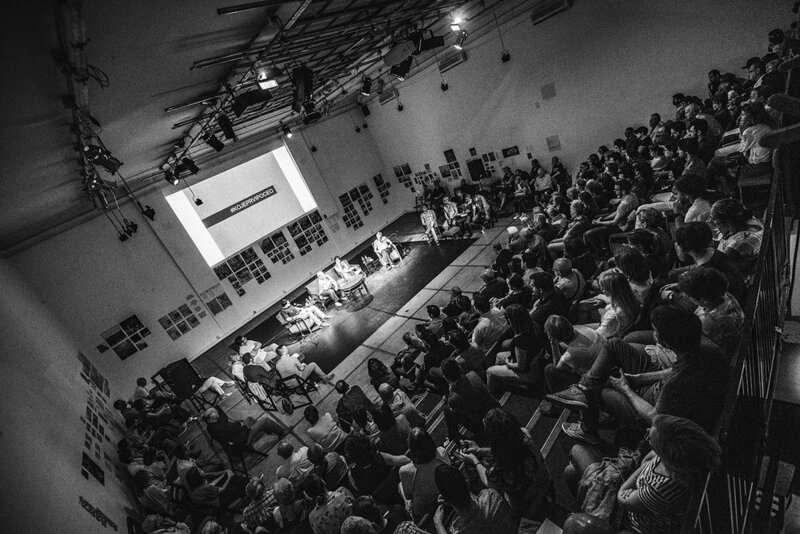 Association KROKODIL (an acronym in Serbian that stands for: “Literary Regional Gathering That Alleviates Boredom And Lethargy”) was founded in 2009 and has gained an international reputation for its literature festivals and for its many other collaborative projects with social and political relevance. KROKODIL has become well known for the high-level debates it has organised looking at topics such as the future of Europe, the impact of migration and the nature of linguistic nationalism. Its is to promote the reconciliation and reconstruction of broken links, specifically in the region of the Western Balkans, but also in deepening of mutual understanding and acceptance of differences in broader Europe and elsewhere. The organisation is based in Serbia but has developed a wide range of international work and collaborations with partners especially in the Western Balkans region. It has earned acclaim and recognition for putting on literary events that redefine and invigorate literary programming. Festival KROKODIL. Photo by Srdjan Veljovic. The annual Festival KROKODIL has grown into one of the most distinct and popular literary events of the region and takes place in the open-air arena in front of Belgrade’s Museum of Yugoslavia. With several distinguished literary figures in attendance and attracting an audience of up to 5,000 people, the festival is today a respected platform, giving huge visibility to writers in Serbia and beyond. As well as the core literary events, the festival also boasts a vast programme of music and theatre performances and exhibitions. In addition to the main programme, KROKODIL also produces a children’s literature and illustration festival – KROKODOKODIL – established in 2013, which has been immensely popular over the last four years. KROKODIL has also produced a series of other events in collaboration with international partners, such as the Leipzig international book fair, where KROKODIL managed the “Country in Focus Serbia” programme, highlighting Serbia’s literary scene and publishing industry at this major trade event. KROKODIL’s Writer-in-Residence programme was launched in 2012. Writers from around the world have the chance to spend 1–3 months in Belgrade with accommodation and a monthly stipend in order to continue their work in a new, inspiring context. The main aim is to allow and encourage foreign authors to become familiar with Serbian society and culture and, in turn, for Serbian literary audiences to enjoy a steady influx of different writers from around the globe. Since its launch, the programme has hosted nearly 60 authors from all over Europe – including 2017 ECF Princess Margriet Award laureate Navid Kermani. Eleven titles written by the residential writers have been published in Serbia. Through its international partnerships and collaborations, KROKODIL has gained significant credibility not only in literary circles but also in socio-political circles too. It has been invited to participate in debates about migration and its lasting cultural and social impact on the western Balkans (Europoly), as well as the future of Europe and linguistic and cultural identity in the countries of the former Yugoslavia. Other prominent projects include the annual series of conferences “Belgrade Debate on Europe”, which bring together the most eminent European intellectuals and experts in different fields; regional linguistic conferences “Languages and Nationalisms” in cooperation with three partner-organisations from Bosnia and Herzegovina, Croatia and Montenegro; and the Serbian-Albanian literary cooperation and exchange “Neighbours” in cooperation with Priština-based partner-organisation “Qendra Multimedia”. The annual writers-in-residence and summer schools take place between July and September. These are both part of the most important current project entitled “Who started first? Historians against revisionism”. The main goal of this project, funded by the EU delegation to Serbia, is to create a space for historical and intercultural dialogue by building a network of historians, writers, journalists, students and wider public that would eventually contribute to the conflict resolution, mutually respected historical narratives (if shared narratives are not possible) and to more inclusive culture of remembrance. The project’s activities will result in the creation of a sustainable platform that would allow the mutually acceptable interpretation of events of the recent and more distant past through the method of multi-perspective historical narrative.